Trial entry will open on September 7 at 9:00 AM Pacific Standard Time. Entries will be awarded by random draw of all entries received between 9 AM September 7 and 9 AM September 9. Note: If you are entered in another trial before this one and earn the title for the level you are entering (NW3 elite) at this trial, you will forfeit your space in this trial. You may request that the host add you to the list of those wishing to run their dog For Exhibition Only (FEO), in which case you may be given a space in the trial if space remains after all Qualified Entries are accommodated. 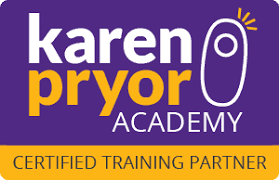 If you earn the title level after the refund period has ended then you must contact the trial host at: HolisticHoundsTraining@gmail.com within 48 hours of earning your title to let them know you are no longer eligible. If you contact the host within 48 hours and (1) they are unable to fill your space then you won't be given a refund but will be allowed to keep your space in the trial and run your dog FEO or (2) they are able to fill your space then a refund will be issued minus the processing fee listed in the cancellation policy. If you fail to contact the host within 48 hours of earning your title then you will forfeit your space and no refund will be issued. If space remains after all qualified entries are accommodated on September 22, then we may accept entries for those who have earned the current title level – NW1, NW2 or NW3 Elite and wish to retest at the same level. Entrants retesting at the same level will be For Exhibition Only (FEO) and will not be eligible to receive title or placement ribbons. FEO results will not be included in the posted trial results. Complete the on-line trial entry between 9 AM September 7 and 9 AM Pacific Time September 9. 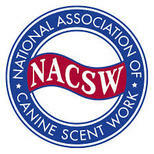 The Handler is a NACSW™ member for the 2017 - 2018 membership year (8/1/17- 7/ 31/18). The Dog has passed the appropriate ORT and prior title level at least 3 days prior to the trial date. Note: If the required title or ORT was earned less than 14 days prior to the event, it is the competitor's responsibility to provide proof of the ORT or title to the event host in the form of a score book or a photo of the official results. Qualified entry for Elite - Dog has earned a NW3 Elite title. You will be notified via e-mail of the results of the random draw by 5:00PM Pacific Standard Time September 19. If you are given a space in the trial, you will receive information on how to submit payment. You will then have 48 hours to complete your payment to confirm your space in the trial. For cancellation of entries on or before 5 PM Pacific Standard Time October 23 – full refund minus $25 processing fee. Note: Refunds will be processed on November 3. For cancellation of entries after 5 PM Pacific Standard Time October 23– no refunds will be issued. Trial location is a private school. The competitor parking lot and pathways to the search areas are paved. The search areas may include pavement, linoleum, artificial turf, rubber, concrete on level ground. The school is large and spread out so there may be long walks to the search areas. Due to unforeseen conditions, such as weather or change in availability of areas at the location, the expected search areas, parking, and pathways to the search areas may be modified at the last minute. Parking lot is cozy. Please plan on crating your dog in your vehicle. There is no separate area for reactive dog parking or potty area. By registering for the trial, the competitor hereby assumes all risks of, and responsibility for, accidents and/or damage to her/himself or to her/his property or to others, resulting from the actions of her/his dog. The competitor expressly agree that the NACSW™, Veronica Selco, Holistic Hounds LLC and its assignees or any other person, or persons, of said groups, shall not be held liable personally, or collectively, under any circumstances, for injury, and/or damage to her/himself, for loss or injury to property, whether due to uncontrolled dogs or negligence of any member of said groups, or any other cause, or causes. The competitor also agrees to assume all financial liability that may be incurred by the NACSW™ due to the actions of themselves or their dogs regardless of the cause. Cate Bramble Dogarazzi will be providing video and photo services. We will have T-shirts and hoodies available for pre-order sales. Orders due by October 15.. Please see design here. Please contact Veronica Selco at HolisticHoundsTraining@gmail.com for all trial related questions.